James previously worked at Risk Capital Partners where he was responsible for sourcing and executing transactions. 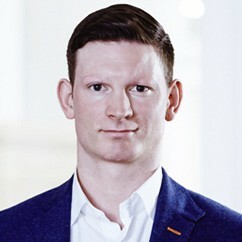 He joined Lonsdale as a Director in 2015. Prior to this he held positions at Catalyst Corporate Finance and PWC, where he qualified as a chartered accountant and worked in their Transaction Services department.